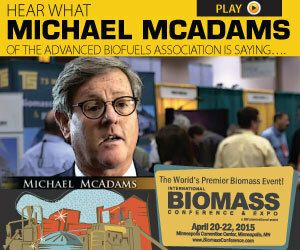 Despite huge challenges and misinformation to the contrary, biodiesel has caused the goals of the entire advanced biofuel category in the renewable fuel standard to be met and exceeded every year. Now is no time to stop. We can succeed and we will. A cookie-cutter industry biodiesel is not. While too many technologies exist in this field to report on, we offer an overview of several emerging biodiesel process developments or existing optimization techniques that have made headlines recently. Greenleaf Biofuels, a 10 MMgy continuous flow biodiesel plant in New Haven, Connecticut, is continually improving its process thanks to its talented team members. Since April 2013, the plant has reached 100 percent designed flow rate. Renewable Energy Group Inc. announced Dec. 29 that its wholly owned subsidiary has completed the acquisition of IC Green Energy's majority equity ownership position (69 percent) in German biodiesel producer Petrotec AG. Darling Ingredients Inc. announced that it expects to receive about $65 million from the reinstated $1 per gallon federal blenders tax credits for renewable diesel and biodiesel signed into law by President Obama Dec. 19. TransBiodiesel supplies its flagship product to the biodiesel production industry under the brand name TransZyme A, providing the best use cost when dealing with high-FFA feedstock, delivering greater yields and efficiencies to biodiesel producers.